The perennially popular shaker style of kitchen calls for stripped hardwood worksurfaces and painted cabinets. If you want to add a big splash of colour to your kitchen, this is the way to achieve it. When you choose Bear and Woods, the hand-painting of your new kitchen will be included in the price we quote you. We take care of all the labour. All you have to do is choose the colour. Here are some popular choices. Kitchens always look great first thing in the morning with the sunlight streaming in. If you have a smaller kitchen or one that doesn’t get too much natural light, choosing a cheerful colour like sunburst yellow for your cabinetry can really brighten it up. Grey doesn’t have to be boring! Contemporary kitchens will often feature complementary greys. We favour a light grey for the cabinets combined with darker accentuating greys that will lead the eye around the room. This may sound like ingredients for a rum-based summer cocktail but we are talking about shades of green. These lighter shades of green go really well with pale wooden worktops. Darker greens such as Bottle Green or British Racing Green are better reserved for accents – perhaps a tiled splashback behind your Everhot oven range. Red is a bold choice for a colourful kitchen, but it can definitely be pulled off! A muted almost matt red paint looks great against shining chrome and stainless steel. Blue is a versatile colour. Where red is fire, blue represents a frosty coolness. Pale blues work well with pale hardwoods. Darker blues, if the room is light enough to pull it off, look great against a dark granite surface. Working outwards to the more obscure parts of the rim of the colour wheel, we find orange and brown. Since its 1970s heyday, this particular colour combination has been dropped from the standard English kitchen colour palette and shows no imminent signs of returning to popularity. 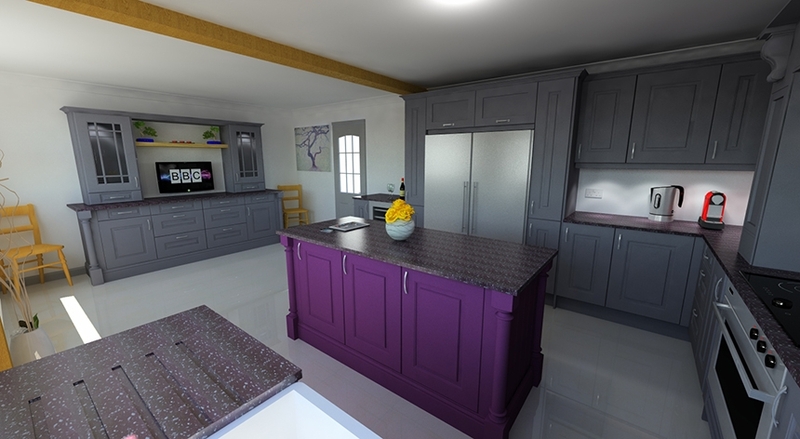 What colour scheme would you have in your dream kitchen? Let us know on Facebook.